Meaning 'southerly wind' in Italian, Ostro is a kiwi interpretation of an international style brasserie, with an upmarket, yet relaxed atmosphere. At the helm is Michelin star chef Josh who's produced an all-day dining menu that delivers elegant, produce focused dishes with the stylish flair that Josh is renowned for. 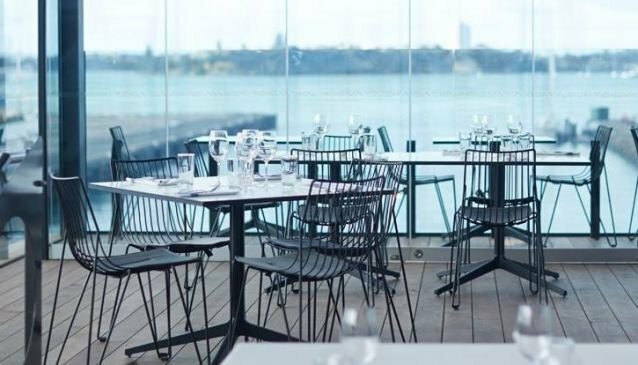 The restaurant itself is located on the second floor of the Seafarers Building in the fashionable Britomart District, enjoying stunning views of Waitemata Harbour. An all-weather terrace allows diners to get an even better view of the waterside setting. Along with an array of meat and poultry dishes, diners can tuck into freshly caught fish from the raw bar. A carefully chosen selection of quality wines complement the food, while an ever changing list of innovative cocktails offer a good pre-dinner or post-dinner option.